We have seen some big changes over the last year at Don’t Panic HQ – a nicer, funkier office being one of the big day-today ones! As we stride into the future, we’re doing so with a fantastic team of big hitters behind us! We have been instrumental in organising some fantastic events so far this year, and we’re winning really exciting projects all the time (more to come on that later!) We love to be busy, but we thought it was time to spread the load with some new rising stars, so read on to get the skinny on the latest members of the clan! All this big business success has meant that the abacus became a little overwhelmed, so in January of this year, we added an accounts manager to the team. Michelle is in charge of the money, which is just as well, as busy developing events left, right and centre! 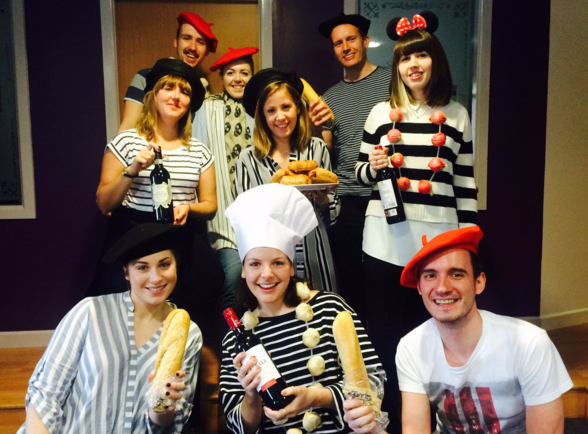 Team spirit – awards organisers Don’t Panic are on the up and up! Our events team has seen huge expansion lately, with the additions of Aimee, Scot and Michael. Supporting our senior Event Managers, together with Events Assistant Becky. These guys have been crucial to our ability to expand, both in terms of the range of events we can provide, and also the quantity! With background experience in teams as diverse as LadBible and the Commonwealth games, these guys have a multitude of talents and experience that have made their contributions so valuable to DP. 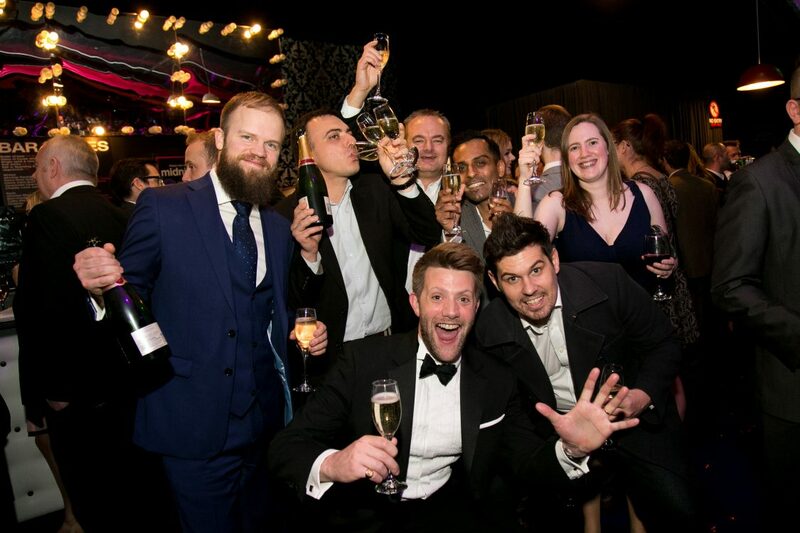 As specialists in awards organising, it’s hugely important to our team that we have the best people for the job – which means we’re delighted to have found some brilliant new staff who can bring great experience with them! That brings us nicely to the Creative team, with new recruits Laura and Addae. Addae is our new Web-developer – a growing client base means a great deal of websites and general coding expertise are needed constantly! Addae has fast become an essential cog in the Don’t Panic wheel, who knows where we’d be without him! Laura has been taken on as our Marketing Manager, responsible for giving both the company, and our events great exposure. We have big plans at Don’t Panic, and so growth through sustained marketing campaigns is a big part of our plan for the future! 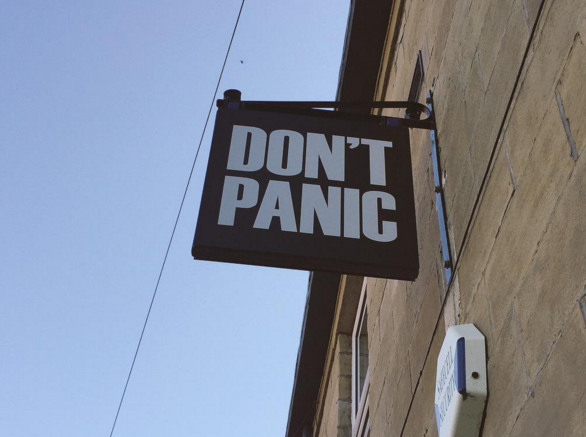 Currently Don’t Panic are winning new clients as awards organisers – awards are a specialist event, and Don’t Panic have significant experience in this realm! What next? You decide! We’re still hiring, both for a full time event manager, as well as events interns and a creative intern with experience in graphic design! If onwards and upwards is your thing, then watch this space! We’re on a huge winning streak, and we don’t plan on stopping any time soon. If you’re looking to organise an awards ceremony, whether that’s for commercial enterprise or to encourage employee engagement – why would you go anywhere but a specialist awards organiser? Want to find out more about our newest clients? Stay tuned for our next news blog!